When I was getting my MBA, I would count the number of women compared to men for each class and at least 60% of them were men. In every class. 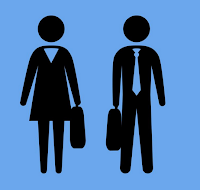 It's become painfully evident to me in recent years that there is a gender gap not only in technology but in the workplace in general. I love where I work, and I love the people but, unfortunately, we fall into the same category that many companies do. 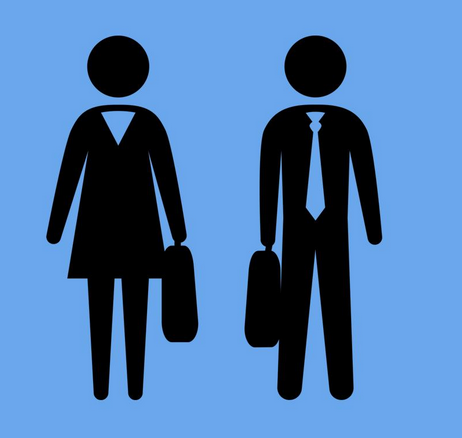 The good news, more than half of our workforce is female (just over half). The bad news, less than half of our leadership team is female and we have zero female representation in senior management. In technology, I am one women out of a team of five. While I don't think it's done intentionally, it is still disappointing to see this happening in a place that I love and am thrilled to be a part of. After talking to tons of women, reading lots of blogs and doing some research I came up with a few reasons why females have trouble rising to the top. Ladies, we have got to stop competing with each other! There's a difference between healthy competition and intentionally knocking other women (or men!) down to get ahead. I've seen this all too often in my own career and talked to many women who feel the same way. Females don't help each other get ahead, they fight. This comes across in different ways - letting other females fail at a task so you look better, not taking accountability for your own actions, arguing with other females in the workplace (and asking your boss to help you through it) - and it just makes women seem too emotional and fragile to be pulled ahead in the organization. We have got to stop bringing each other down. It's hard to aspire to be something when there's no one paving the way for you. Sure, Marissa Mayer and Sheryl Sandberg are doing great things for women in technology (and everywhere) but they are so few and far between that it seems almost unattainable. Getting more involved in female mentorship programs is something I'd like to be a part of (readers: let me know if you have suggestions in the Boston area). Men will go out and expect to be promoted, while talented women will wait for their next promotion. I try to encourage the women I meet to go out an ask for what you want, because no one will give it to you (the same is true for more passive men!). I recently had a conversation with a young woman who wanted to take her career a step forward but was hesitant because another male coworker had mentioned he wanted to follow a similar path. She didn't want to 'step on his toes' by aiming for the same thing. I recommended she keep pushing forward and that no one was going to hand her something they didn't know she wanted. Women need to feel confident that they deserve what's next, and I think having female leadership may help women ask for more. What will you do? Are there things you're planning to change or would like to change based on this information? Many men read this blog, so I'm curious what you think. Are there recognizable gaps from a male perspective? Do men face similar challenges?